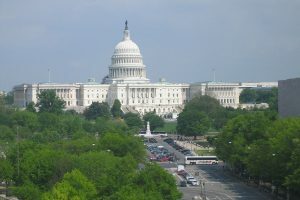 American hemp entrepreneurs had to wait only 48 hours after the signing of the watershed 2018 Farm Bill to start experiencing the downside of offering a product regulated by the U.S. government – specifically the budget impasse between President Trump and Congress that led to federal operations shutting down. Rules for hemp farming expected from the U.S. Department of Agriculture. Kentucky has already submitted its hemp plan to the federal agency for approval, but it’s not clear whether the USDA’s 60-day window for approval or rejection will start until the agency develops a national framework for hemp oversight. CBD rules from the U.S. Food and Drug Administration. The FDA said hours after the Farm Bill was signed that it will take a fresh look at CBD regulations “in the near future.” The shutdown has left CBD manufacturers and retailers with no guidance about when that might happen. Drug approval. The FDA says it is considering an unknown number of applications from pharmaceutical companies for CBD products. Until the shutdown ends, epilepsy drug Epidiolex will remain the only FDA-approved cannabis application. CBD beverages. The Alcohol and Tobacco Tax and Trade Bureau (TTB) – a division of the Treasury Department – must approve new alcohol labels and formulations, but the shutdown has such approvals on hold. At least one brewer, New Belgium Brewing in Fort Collins, Colorado, is awaiting a decision on using hemp flower in its hemp-flavored beer. Import/export rules for hemp seeds. The Farm Bill likely ended requirements that the U.S. Drug Enforcement Agency sign off on imports of viable hemp seeds. The shutdown has left a pile of unanswered questions at U.S. Customs and Border Protection about how the hemp industry can set about getting imported seeds for the 2019 growing season. Patent and trademark applications. Many hemp entrepreneurs were hoping for a flurry of patent and trademark designations now that hemp is no longer a controlled substance. Hemp research. Hemp is now eligible for a piece of the $1.1 billion the USDA spends annually on agronomic and market research through the Agricultural Research Service. But all study proposals are on hold. “Now that the Farm Bill has been passed, everyone in the industry is anticipating that the federal government will start to provide some guidance as to what is next,” said Geoff Whaling, head of the National Hemp Association, an industry trade group. But hemp businesses reaching out to federal offices for help “automatically get a response from them that, because of the shutdown, they’ve been furloughed and will not be returning until the government is back in full working order,” Whaling said. One of the CBD companies left mired in uncertainty is Farmacy Bliss. The Walnut Creek, California-based company makes CBD topicals, vape oil and capsules in a state that has said it’s waiting for the FDA to clear CBD for use in foods, drugs and cosmetics. The shutdown has even affected a criminal case. Four men were arrested and charged with drug trafficking on Jan. 9 in Pawhuska, Oklahoma, after police pulled over a van containing 17,000-20,000 pounds of cannabis being shipped from Kentucky to Colorado. The men, all employees of a cannabis-security firm, said their cargo was legal hemp, not marijuana. One test showed the plants were marijuana, but a follow-up analysis at a lab in Washington DC has been held up because of the shutdown, an Oklahoma official told KOFR-TV in Oklahoma City. And the temporary closure of the U.S. Patent and Trademark Office has Denver-based CBDistillery left with nothing to do but wait for possible protections for its developments. The company has been waiting about three years for federal patent review, according to CEO Chase Terwilliger. A bigger concern, Terwilliger and other hemp executives said, is the delay in USDA production rules. The 2019 hemp crop across the U.S. is likely to break records, but lingering uncertainty over farm regulations and federally backed crop insurance could leave cultivators without the help they need to scale production and make it a more traditional commodity crop.